Chris Ketcherside, a former Marine and working on a PhD in military history, reviews Atlantic Fleet for the latest issue of WWII Magazine, giving it a full 5 out of 5. Read the full HISTORYNET Review here. Read the full CombatAce Review here. “I find it all very well-presented and impressively thorough, very well up to the standards of PC sims and better than many I’ve seen, including the very best”. “This is one of those rare, genre-defining games that re-sets the standard for games development everywhere”. 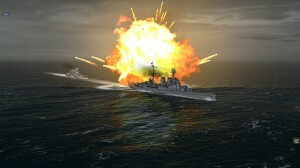 The wait is over, Atlantic Fleet PC/Mac edition is now available from Steam. Contains greatly improved graphics, more detailed ship models as well as an overhauled user interface with mouse and keyboard support. Contains the trailer, lots of new screenshots as well as access to the updated game manual for the PC/Mac edition. 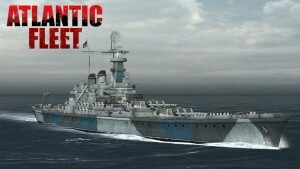 Atlantic Fleet 1.11 update has been released for Android (iOS version under review by Apple). 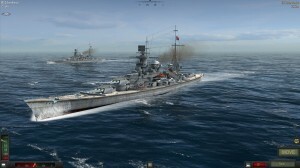 It contains a fix for a rare, but rather nasty bug that could corrupt British Battle of the Atlantic games when a G,H Class destroyer was purchased. North Carolina has also been made a little more resilient and the Nelson secondary gun orientations have been fixed. 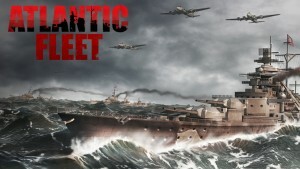 Atlantic Fleet PC enhanced-edition is close to release. This will not just be a straight port of the mobile game as the ships, environments and user interface have had a major overhaul. A couple more screens are posted on the Facebook page. Earlier in the week Apple approved the 1.10 update for Atlantic Fleet making it now available for iOS, Android and Kindle. The PDF game manual has also been updated for 1.10 and contains a full list of enhancements and fixes under the Release Notes section for those interested. 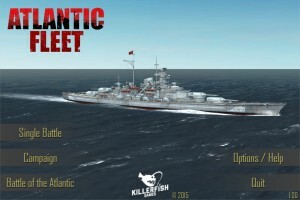 Atlantic Fleet Lite versions should be coming out next week. Atlantic Fleet PC/Mac version is getting close, not sure we’ll have it out for Christmas however. Screenshots coming in the next week or so. Atlantic Fleet has been given the Greenlight by Steam and the plan is to have the game out in time for Christmas! 1.10 Update in final testing and should be out this week. Atlantic Fleet Lite versions out shortly after this. What is new for the PC version? It is getting a complete graphics overhaul with better looking ships, environments and special effects. The user interface is also being redesigned with mouse and keyboard support being added. – Enemy disengaging off by default. – Fine tune button for easier aiming. – Splash history used for target solution calculation. 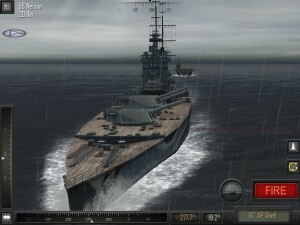 – Barracudas (finally) available to carriers (CV). – List of naval ships lost in BotA. – Auto-sinking of unescorted merchants in BotA. – Option for up to 30 player ships in BotA games. – Ability to purchase start ships in BotA. – Carrier flight decks more resilient and 2x wing sizes. – BotA repairing and persistent damage issues fixed. – All known mission start or turn breaking bugs fixed.